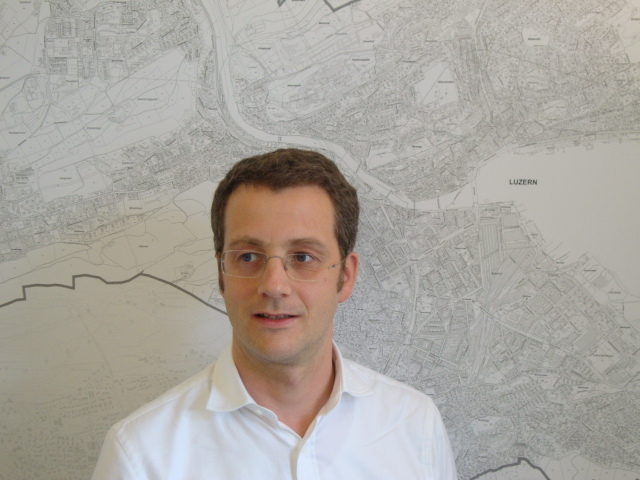 Architect and Urban Designer, Dominic Church is Project leader for Strategic Planning at the City of Lucerne´s real estate department. After completing his training as an Architect in Stuttgart, Dominic worked in Sweden, Israel and London before going on to complete the MSc City Design and Social Science at the LSE Cities Programme, where he subsequently acted as Assistant Director of the LSE Cities MSc programme. In 2005, Dominic joined the Commission for Architecture and the Built Environment (CABE) to lead the Building for Life initiative. In 2011, Dominic returned to Stuttgart to lead the International System Application team at the German Sustainable Building Council (DGNB), with a particular focus on China. During this time, he also taught at Stuttgart University´s Department of Urban Design and at the Sustainable Urbanism Unit at Munich Technical University. Since 2015, Dominic has been responsible for the delivery of affordable housing on sites owned by the city of Lucerne. Dominic teaches at Nürtingen-Geislingen University in Germany and works as a freelance translator. He has contributed to various publications on sustainable urban design.